So that's my loot for the week. What did you get in your mailbox this week? Drink, Slay, Love sounds and looks awesome. Enjoy! I love getting swag! 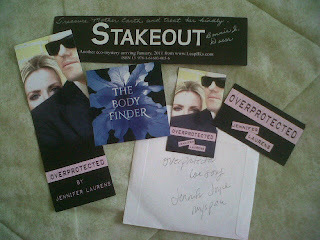 I just got some swag from Jennifer Laurens, signed Heavenly bookmark. I love it. Really really liked Fallen. Hope you do too. Great selection. I'm a new follower and wanted to say hi. Enjoy your books! I haven't read any of these, but Fallen has been on my shelf for a year now. I must get to it soon. Great IMM! I really want to read Fallen. Great Mailbox! Really enjoyed the Fallen series, hope you do too! 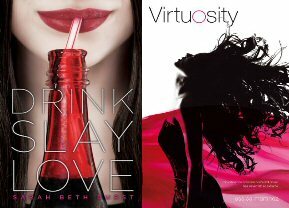 Drink Slay Love looks awesome. Loved Fallen! Enjoy your books this week! 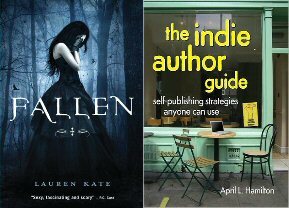 I enjoyed Fallen by lauren kate its a nice concept i think youll like it! Great IMM! You got a nice set of books and swag too.